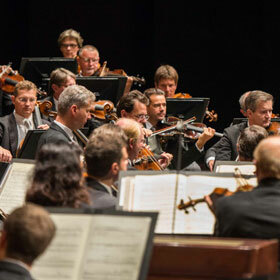 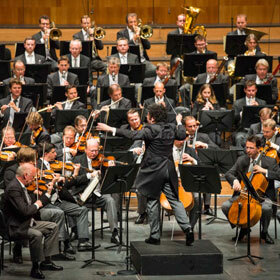 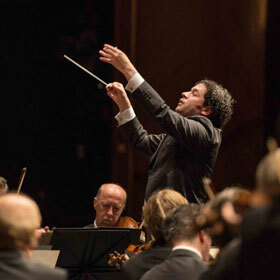 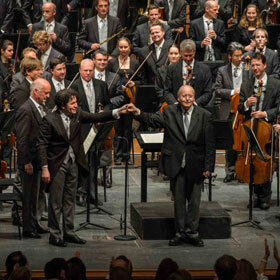 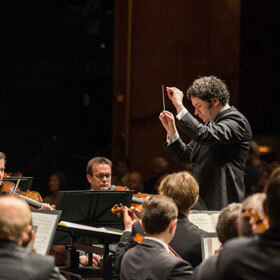 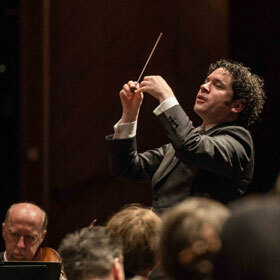 The Salzburg Fest­iv­al cel­eb­rates the 150th an­niversary of Richard Strauss's birth with this con­cert con­duc­ted by Maes­tro Gust­avo Du­damel. 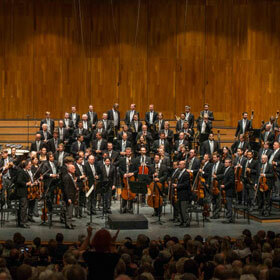 This sum­mer, he re­turns to Salzburg where he con­ducts a homage con­cert to Richard Strauss, in­clud­ing two of the com­poser's mas­ter­pieces: Death and Trans­fig­ur­a­tion, an early work by Strauss who wrote it when he was barely 25 years old; and Thus Spoke Za­rathus­tra. 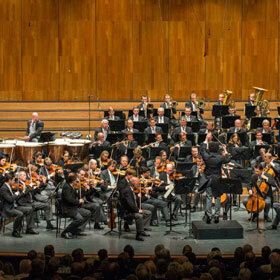 The first part of the con­cert presents Time Re­cyc­ling, a new sym­phon­ic piece by con­tem­por­ary com­poser René Staar.